The next victim of Activision’s expiring licenses on Steam is Tony Hawk’s Pro Skater HD, which is currently grinding a rail to oblivion and is days away from landing with the rail nestled right in its crotch. We don’t have a list of the best skating games, but we do have on for the best tank games. Tanks are cooler, to be honest. It hasn’t been explicitly stated that expired licenses are the reason for the game being removed from Steam, but that’s usually the case with these things – especially games with so much licensed music. We could ask Activision for comment, but it’s likely that we’d get the same response as we did when we asked why TMNT: Mutants in Manhattan was pulled from Steam so soon after release. Chances are, the money the games are making doesn’t outweigh the cost of keeping them up. 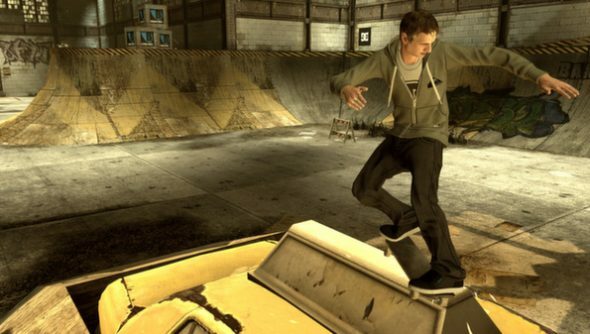 On the bright side, you can get Tony Hawk’s Pro Skater HD right now for $1.99. It’ll be gone forever on July 17.